WS890 is an excellent all-around water soluble, lead-free solder paste. It has superior reflow characteristics giving excellent wetting, very low solder balling, and very low graping. WS890 has been formulated for environmental stability giving long stencil life and excellent print characteristics. WS889 water soluble lead free solder paste is formulated to provide minimal graping and excellent wetting qualities. WS889 displays previously unseen levels of repeatability and consistency even in a wide range of temperatures (65-85 F) and relative humidity (25-65 % RH). Residues are amber in color and can be cleaned using warm water. WS888 water soluble lead free solder paste is designed to meet the requirements for reliable solder joints in the PCB assemblies. WS888 displays previously unseen levels of repeatability and consistency even in a wide range of temperatures (65-85F) and relative humidity (25-65% RH). WS888 residues clean easily using warm water. 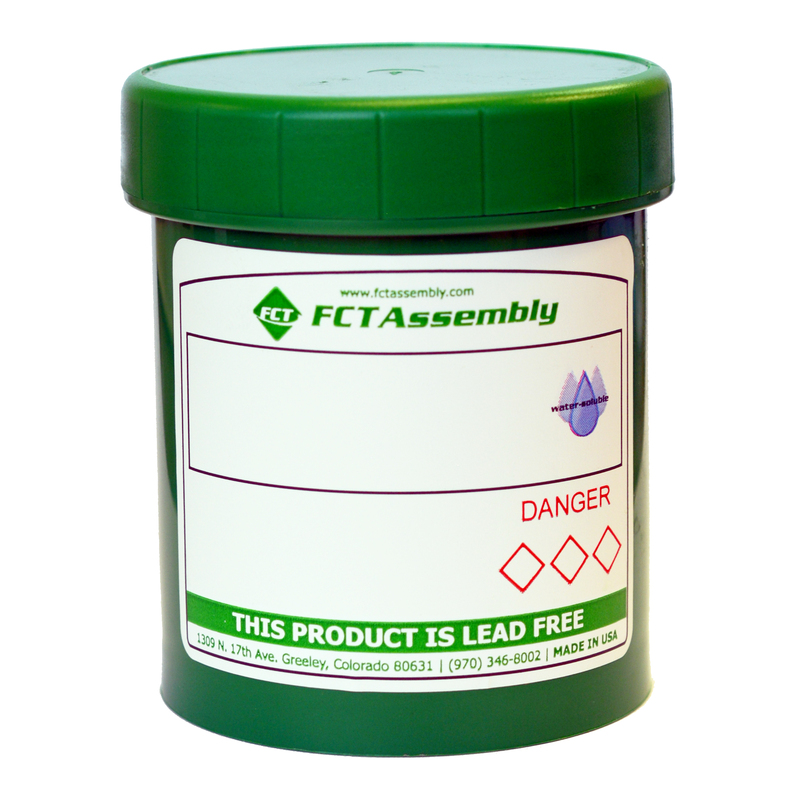 WS159 is a water soluble, leaded solder paste. WS159 is tolerant to a wide range of environmental conditions, and has a long stencil life. WS159 flux residues are easy to clean using warm water. Watch the video or fill out the form below! This video details the research and development of a new water soluble lead-free solder paste that improves on the performance characteristics of existing technologies.